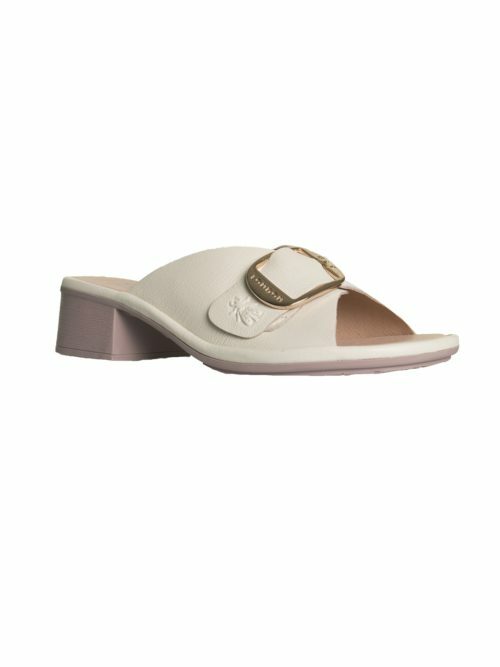 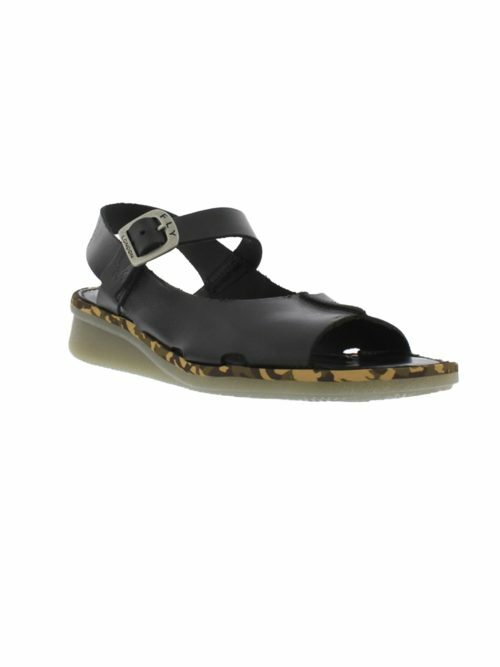 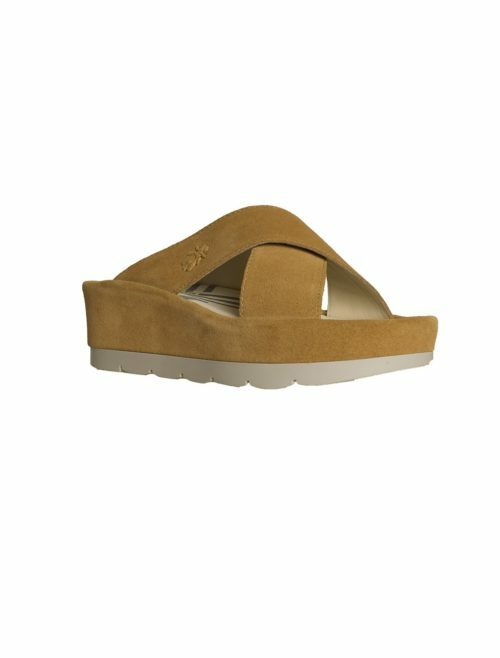 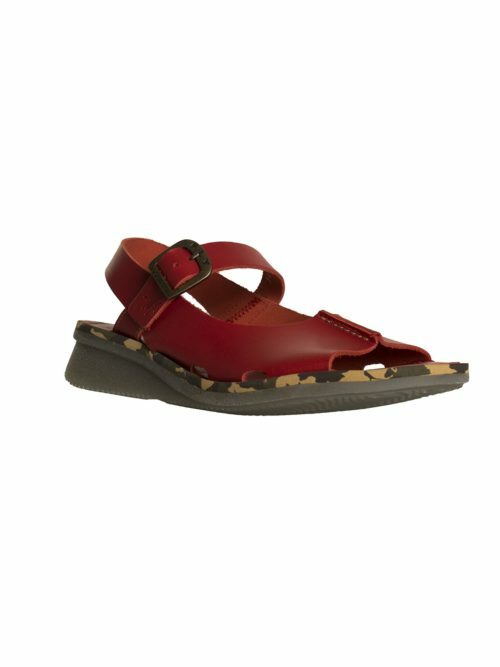 Fly slip on leather mule Elax Sandal with a block heel and a metal buckle fastening. 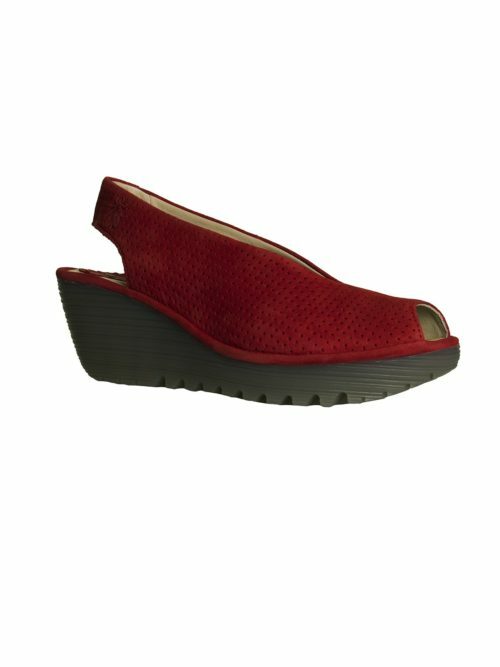 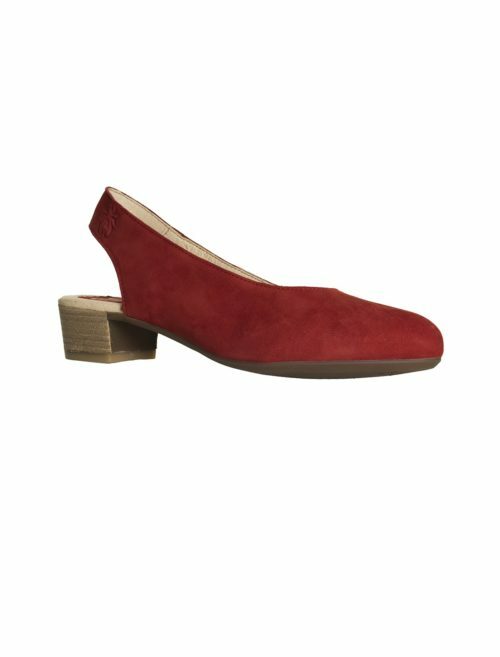 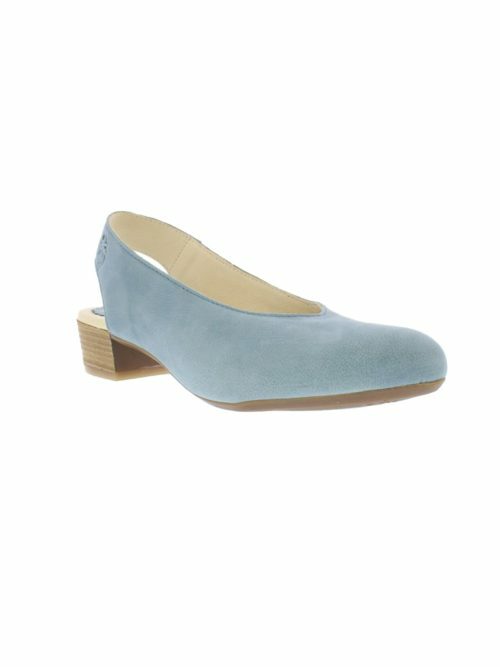 Elegant and comfortable at the same time, easy to wear with jeans and dresses alike. 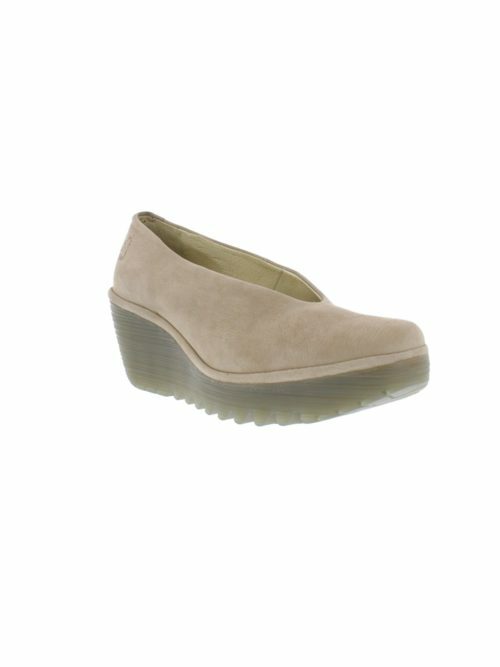 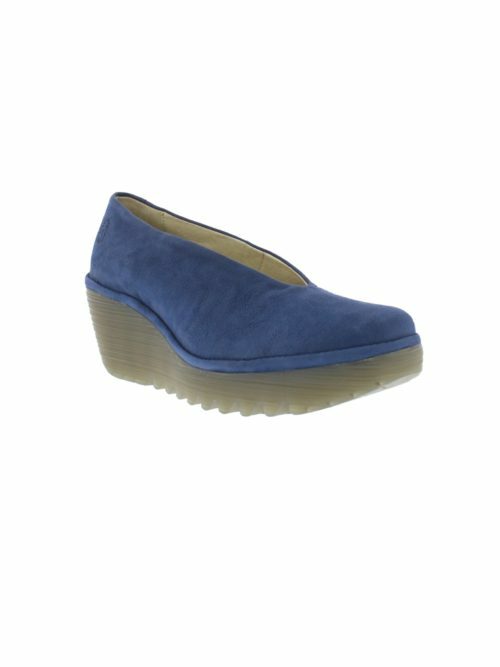 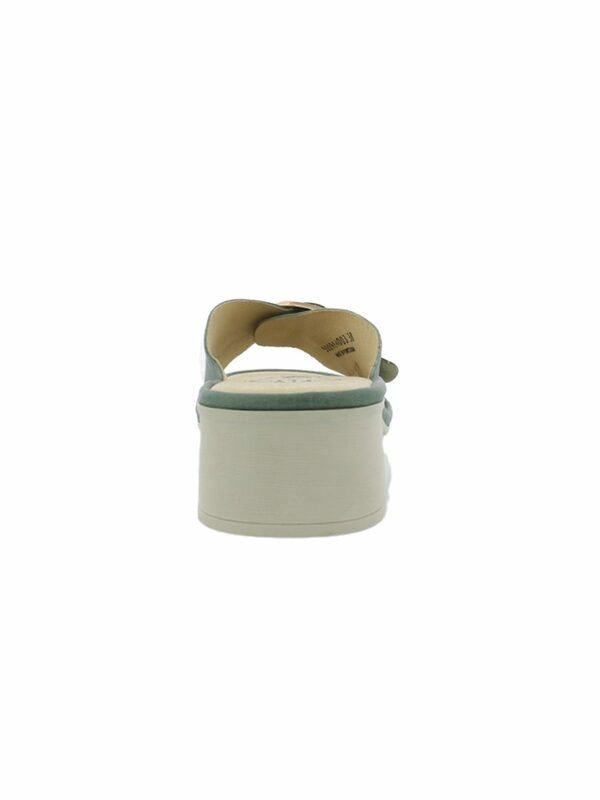 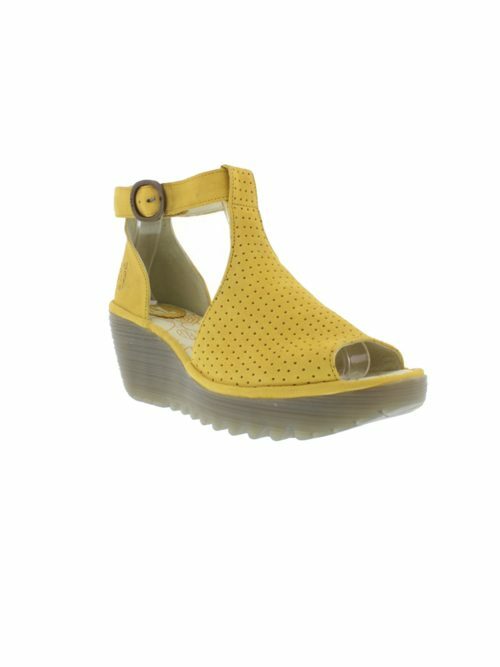 The chunky rubber heel makes this ideal for walking around in.